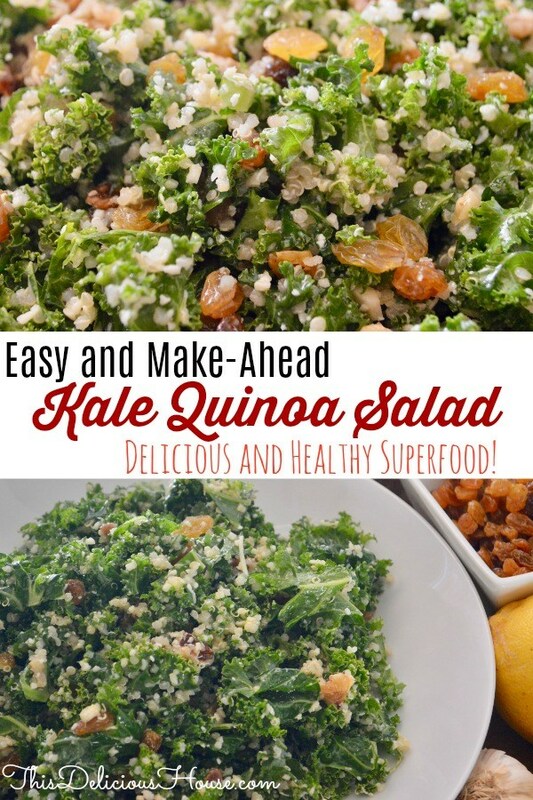 Kale Quinoa Salad – Make-Ahead Superfood! Cook quinoa according to package directions. Set aside to cool. Roughly chop kale, being careful to remove any hard stems. Add kale, cooled quinoa, parmesan, raisins, and walnuts to a large bowl. Make the dressing: whisk together all dressing ingredients. Toss together the dressing and salad and refrigerate at least an hour before serving. Salad can be made up to a day in advance. 0 Response to "Kale Quinoa Salad – Make-Ahead Superfood! "